2. 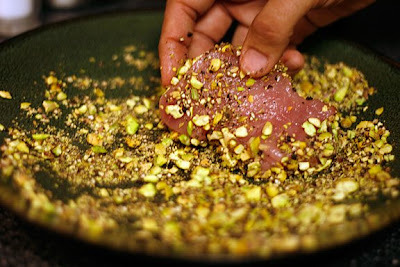 Roll pork chops in pistachio & peppercorn mixture. 3. Heat 1 T of olive oil over medium heat in an oven-safe pan. Sear the pork on each side for approximately 3 minutes each. 4. Finish in oven for 25-30 minutes, or until cooked through. 1. Melt 2 T butter in a small saucepan. 2. 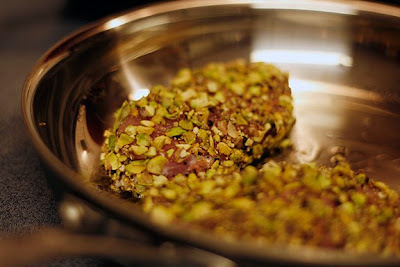 Add plum pieces, brown sugar and cinnamon. 3. Add porter. 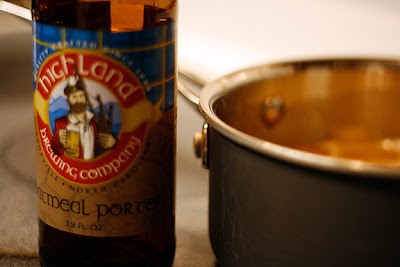 I used locally brewed Highland Oatmeal Porter. 4. Puree with either a regular or immersion blender. 5. 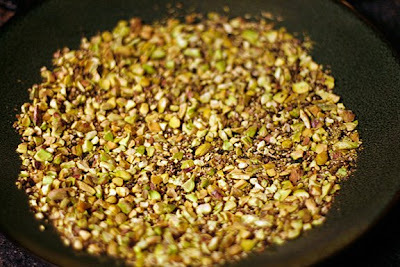 Bring to near boil for about 15 minutes, or until reduced by about half. 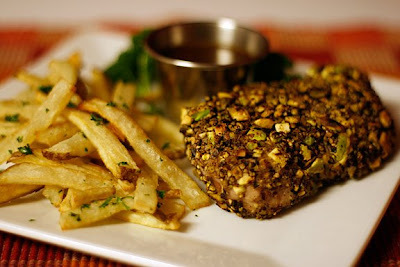 Serve with some pan-fried potatoes (fried in peanut oil) sprinkled with parsley. 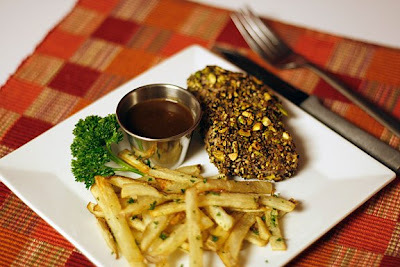 The crunchiness of the pistachio gives it a nice texture, and the plum-porter sauce provides a subtle sweetness to balance the meat's crust. And well, fries are always tasty.